Go HERE for more photos by Sunny Norton and make sure to tag yourself and your friends! 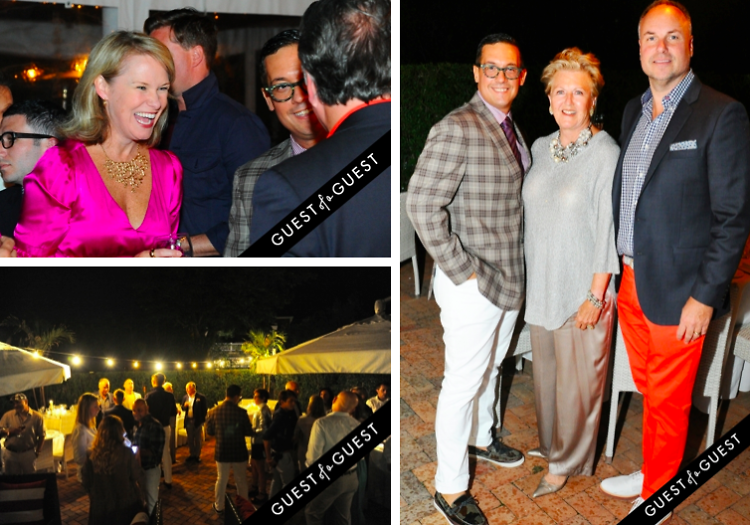 On July 19th, interior designers Sean Bruns & Greg McKenzie hosted a "after party dinner" at Delmonico's in Southampton, following the opening night gala of the 2014 Hampton Designer Showhouse. The dinner was to celebrate the debut of their rooms in this years showhouse: "The Library" by Greg McKenzie of Greg McKenzie Design and "The Dining Room" by Sean Bruns & Judy Hadlock for Mecox Design Services. Greg McKenzie was chosen to be the Design Director of the 2014 Hampton Designer Showhouse by the home's builders, Paramount Builders. He is also working currently working with them fulltime on 11 other custom projects. Click through the slideshow to check out some photos from the evening. Guests included Judy Hadlock & Sean Bruns of Mecox Design Services, Greg McKenzie of Greg McKenzie Design, Mac Hoak of Mecox, Joe Criscuolo, Bill Locantro and Nick Cardaci of Paramount Builders, Bret Beldock of Brett Design, Libby Langdon TV personality and owner of Libby Langdon Design, and Hilary Bolyard De Roy of The Royal Native.